Companies in the manufacturing sector for years have been striving for lean production or processes to create more efficient operations. One of the latest trends in technology, the emergence of the Internet of Things (IoT), could give lean efforts a major boost. Lean manufacturing, a systematic method for eliminating waste within a manufacturing system, is based on the concept of making obvious what adds value by reducing everything else. It’s a management philosophy that stems mainly from the Japanese manufacturing sector, and specifically Toyota Production System, which focuses on the reduction of waste to improve overall customer value. Lean encompasses a set of tools that help in the identification and steady reduction of waste. And as waste is eliminated, quality improves and at the same time production time and cost are reduced. The ultimate goal of lean is to get the right things to the right place at the right time and in the right quantity, in order to achieve perfect workflow while minimizing waste and being flexible. The Internet of Things involves the linking of physical objects such as devices, consumer products, vehicles, corporate assets, buildings and other “things” via the Internet. These “smart” objects are embedded with electronics, sensors, actuators, software and network connectivity that allow them to gather and share a variety of data and respond to control messages. The IoT enables connected objects to be sensed and controlled remotely via an existing network infrastructure. This connectivity creates opportunities for a more direct integration of physical objects with digital systems. The potential benefits include increased efficiency, improved product development and enhanced customer service—to name a few. The potential scope of IoT is enormous. Research firm Gartner Inc. has estimated that 6.4 billion connected things were in use worldwide in 2016, up 30% from 2015, and 5.5 million new things were being connected every day. The firm forecasts that the total number of connected things is forecast to reach 20.8 billion by 2020. In the enterprise, Gartner considers two classes of connected things. One consists of generic or cross-industry devices used in multiple industries, and vertical-specific devices found in particular industries. Cross-industry devices include such items as connected light bulbs and building management systems. The other class includes vertical-specific devices such as specialized equipment used in hospitals and tracking devices in container ships. Connected things for specialized use are the largest category, but this is quickly changing with the increased use of generic devices, Gartner says. Within the context of building IoT-based manufacturing solutions, IoT opens up all kinds of possibilities, such as the ability to monitor the performance of products after they have been purchased to ensure adequate maintenance and customer satisfaction, optimizing supply chain logistics and streamlining the distribution chain. Information about product usage can be fed back to companies so that they can analyze the data to make improvements in design and production. With this constant exchange of data, combined with the new automation technologies that are emerging and advancement in data analytics, manufacturers can achieve the dream of the truly “smart factory”. IoT intersects with lean methodology and has the potential to take lean to the next level. The information gleaned from connected devices, including users’ experiences with a variety of products, can be fed back to instrumented factories to provide unprecedented opportunities to enhance manufacturing processes and reduce waste. The firm describes a number of areas in which efficiencies can be added. One is through the acceleration of planning and pre-manufacturing. The processes of choosing suppliers, considering risk and managing material costs can be fine-tuned through the interconnectivity IoT and analytics bring, Deloitte says. Another potential benefit of IoT is streamlining the manufacturing process, which is changing dramatically as more companies incorporate IoT and analytics capabilities. “Predictive tools and machine learning allow potential problems to be identified and corrected before they occur,” the firm says. 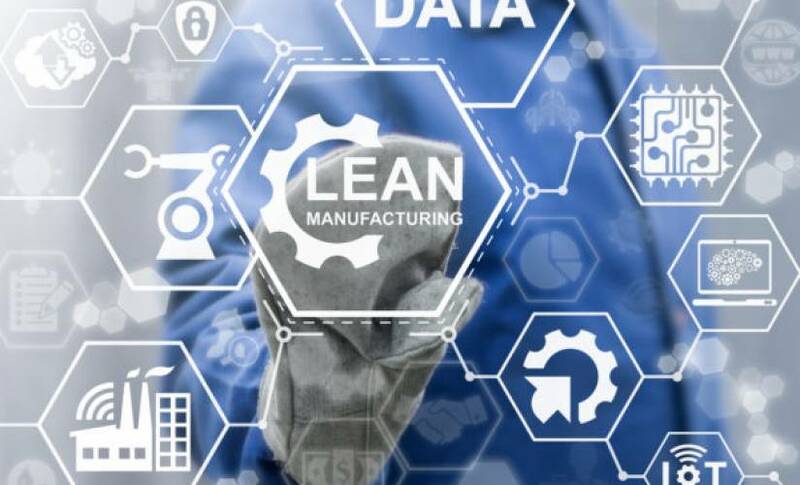 “The value of lean manufacturing and just-in-time processes like Kaizen and Kanban improves exponentially” when intelligence obtained via IoT and analytics can be applied. And a third area where IoT can add value is in improving post-manufacturing support and service. In the past, Deloitte says, manufacturers often lost track of their products once they were sold. Now, because of new levels of connectedness and the greater insights provided by IoT and analytics, manufacturers can gather information from their customers effectively while improving service and support in the aftermarket. The benefits of IoT for lean manufacturing extend well beyond processes within a single organization. IoT can help optimize the interaction of manufacturers and their business partners, enhancing the flow of materials along the pipeline based on more accurate data on product demand and usage. An IoT service creation and enrichment platform such as Accelerite Concert can go a long way in making such collaborations happen. Manufacturers will be able to fully realize production efficiencies that were extremely difficult and in some cases impossible to achieve through traditional, manual processes. Organizations that successfully leverage the Internet, mobile technology, business analytics, digital performance dashboards, and integrate other enabling technology with strategic improvement end up with a much more advanced version of lean and continuous improvement in general, according to Terence Burton, president and CEO of The Center for Excellence in Operations Inc., a management consulting firm. The potential benefits IoT can deliver for manufacturers stem from improved availability of timely and precise data. The ability to instrument, at low cost, almost every aspect of the manufacturing process and to deliver that data quickly to business stakeholders via the Internet is already transforming business operations and business models. But the promise of an evolved “higher order paradigm of lean” is entirely dependent on manfacturers’ ability to derive meaningful insight from data. As valuable as IoT data can be for manufacturers’ lean efforts, it’s important for them to keep in mind that having enormous volumes of information will not necessarily be of help if they don’t have a timely and effective way of analyzing the meaning and context of the data. Only advanced analytics and artificial intelligence (AI) technologies (such as machine learning and predictive maintenance), combined with the flexibility, processing and storage capabilities of cloud computing, will give manufacturers the ability to optimize IoT data and leverage it as part of their lean methodologies. The smart factories of tomorrow will need to deploy a next-generation, cloud-based, big-data analytics platform that enables them to use newly acquired information to the fullest. The platform should be capable of analyzing structured as well as unstructured data, both at-rest (in databases) and in-flight (from streaming data sources) and include a single tool for data acquisition, storage, transformation, AI and visualization. Manufacturers need to be able to drill down into IoT data via easy to understand dashboards, so they can find patterns and detect anomalies that can directly contribute to creating more lean operations. They need to be able to quickly identify useful correlations and make inferences that can lead to enhanced processes. While business intelligence (BI) and data visualization tools are nothing new, current technologies often require the use of data analysts, BI developers and ETL developers before insight can be exposed to business users. The next generation of analytics tools, such as Accelerite ShareInsights will place more power in the hands of business owners and subject matter experts who fully understand the factory processes instead of data scientists and programmers. They also will be made accessible to factory operations teams and development teams, who can help provide an integrated flow of data to make products and processes more efficient. Ultimately, the most significant transformation in how lean methodologies will be applied to smart factories will come from the use of AI to perform sophisticated forms of big data analysis that are impossible for human analysts. AI algorithms now drive semi-autonomous vehicles; recommend what we should watch on TV, read or listen to; recognize our speech patterns and faces; diagnose our illnesses and so much more. These algorithms are not just capable of learning; they are also capable of detecting patterns, correlations and anomalies in large data sets that would go undetected by humans. They’re able to predict the behavior of complex, inter-connected systems and recommend the optimal course of action to accomplish a particular goal. This type of capability will be especially important as manufacturers move toward product personalization, where products can be catered to specific users and predictive insight will be needed to configure production lines and supply chains in the most efficient manner. The next generation of IoT analytics will place the power of AI directly in the hands of business stakeholder to drive continuous optimization. And AI-powered lean methodology will not simply be better at eliminating waste that inevitably creeps into complex systems; it will predict that waste before it occurs and take steps to ensure that it never does. Manufacturing in the future will be about building the product the customer wants at just the right time, and together lean processes, IoT, big data analytics and AI will allow the smart factories of tomorrow to operate with unprecedented efficiency. This article was produced in partnership with Accelerite. 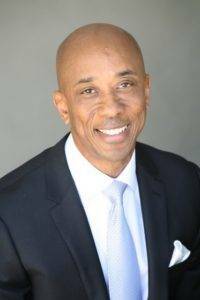 The author is Senior Vice President and General Manager of the Service Creation Business Unit at Accelerite.